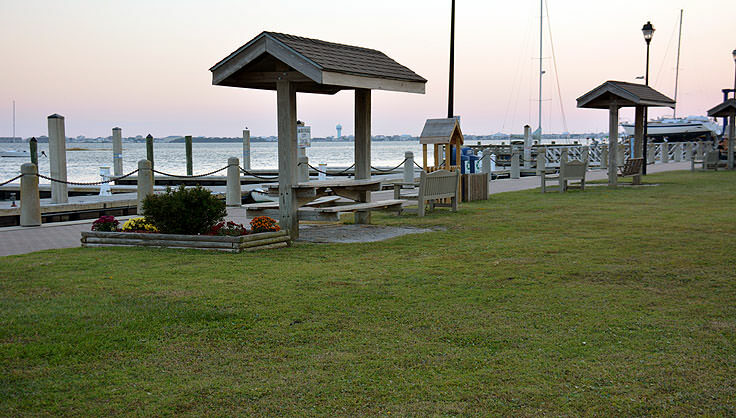 Morehead City's Jaycee Park is easily one of the most scenic parks along the Crystal Coast, and perhaps the region's busiest park in the summer season. 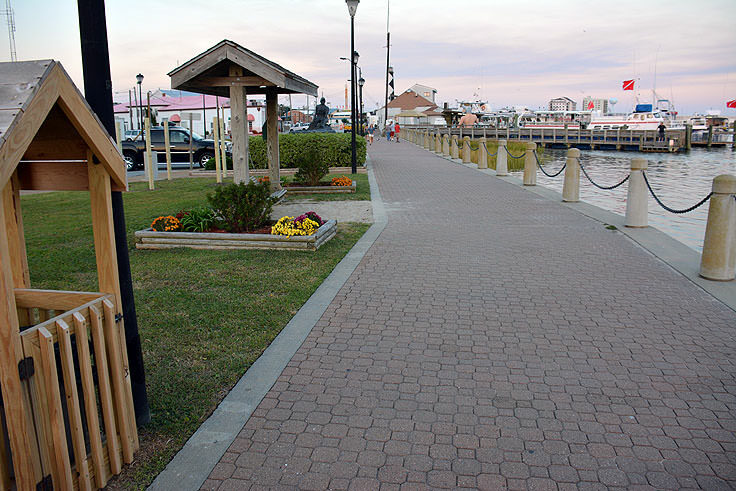 Located adjacent to the waterfront, with wide open views of the Bogue Sound and neighboring barrier islands, the park is a scenic quick distraction for downtown travelers, or a full afternoon and evening of waterfront enjoyment overlooking the busy marinas and harbors that call Morehead City home. 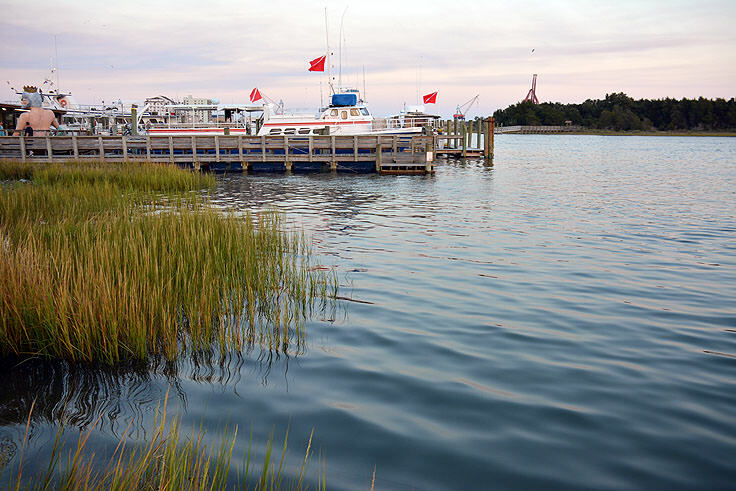 Encompassing just a small section of the waterfront scene, the park has nonetheless become the "go to" destination for a number of Morehead City events and gatherings. From Memorial Day until Labor Day, the Morehead City Parks and Recreation Department sponsors a summer concert series with weekly Saturday Night performances. Local and visiting bands take to the small outdoor stage at Jaycee Park and entertain park-goers from 7:00 p.m. until 8:30 p.m., for free, in front of the completely stunning waterfront backdrop. Past musicians and bands have specialized in blues, jazz, rock, acoustic, and even reggae, and everyone is welcome to bring a lawn chair or a blanket to sit back and enjoy the show. 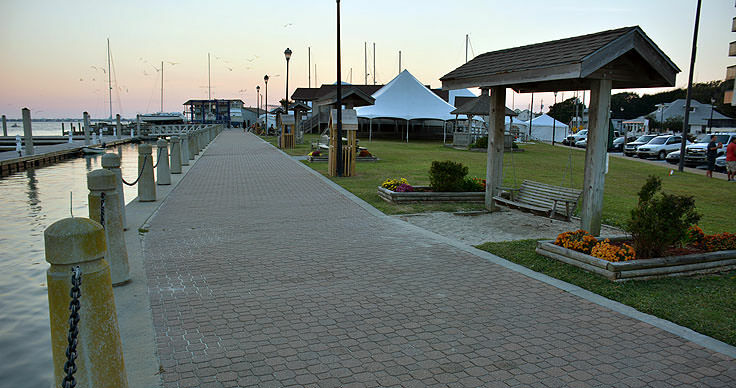 For a seasonal schedule of upcoming performances, vacationers can visit https://moreheadcity.nc.gov/home-parks-recreation/concert-series/ or call the Parks and Rec Department directly at (252) 726-5083. In addition to Morehead City Parks & Rec sponsored programs, the Jaycee Park also serves as a venue to a number of locally famous events, including the Big Rock Blue Marlin tournament's annual Pig Pickin', and the Morehead City 4th of July Fireworks display. In fact, Independence Day visitors will find that Jaycee Park has one of the best views of the incredible fireworks that are launched, yearly, over the waterfront. For non-event visitors, Jaycee Park also has its everyday charms. A small parking area borders the grassy expanse of land that extends to the waterfront, with just enough room for a game of Frisbee or tag, as well as a shaded gazebo that allows less active visitors to take a break out of the sun and enjoy the saltwater breeze. 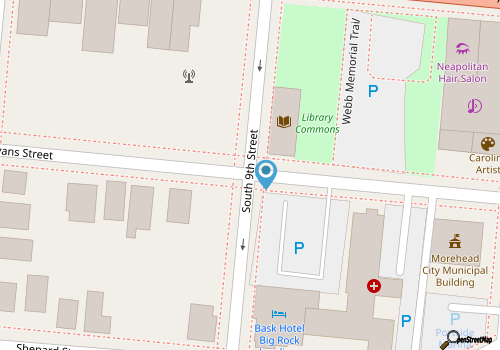 There are also two covered picnic tables for quick lunches, six benches, piers located along 8th and 9th streets and restroom facilities. 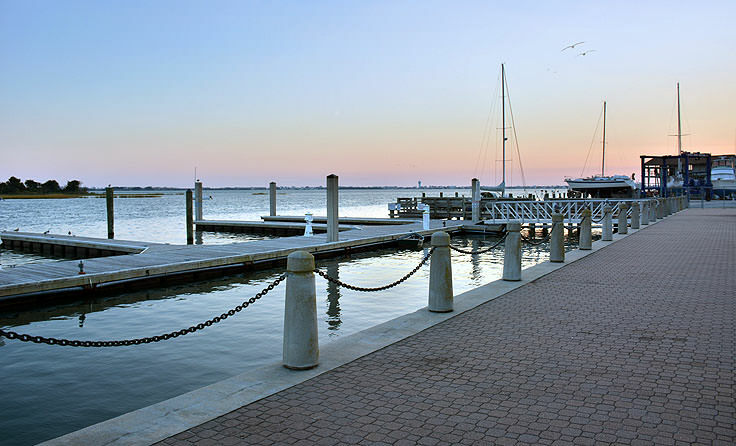 Within easy walking distance of the downtown shopping and dining scene, a visit to Jaycee Park is a perfect spot for busy Morehead City sightseers to take a break and enjoy a relaxing view of the open water. Though certainly one of the region's smallest parks, the Jaycee Park is nonetheless one of its most beloved. 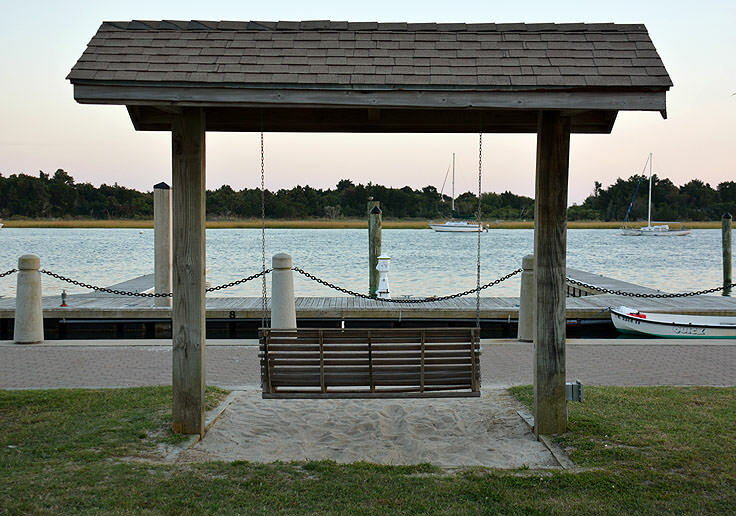 Bustling with activity during the summer, and a quiet break for travelers when not in use for a big community event, the Jaycee Park is a perfect locale for visitors of all varieties to get a big helping of the Morehead City waterfront.